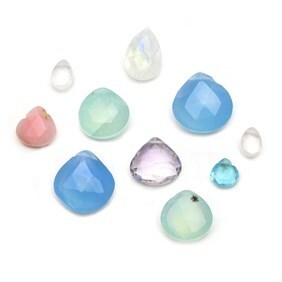 Choose from our range of beautiful semi precious gemstone bead packs in a range of colour themes. Save yourself the hard work of choosing beads that look great together and trust our buying team who have put together these beautiful bead packs for you to design bracelets, necklaces and earrings. To see our full range of bead stringing threads, tools and findings click here. Bead packs are great to use if you're a jewellery making beginner and want to experiment with different designs. 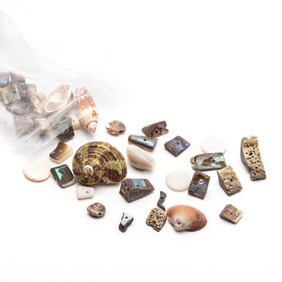 Our bead packs have lovely themes to choose from such as our popular seaside pack, filled with shells and beads to inspire coastal designs. 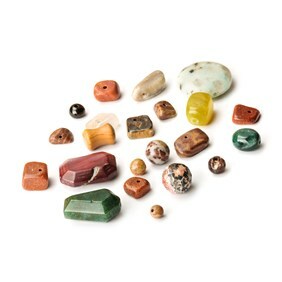 Or our mixed jasper and agate bead pack, inspired by nature. Use these bead packs to incorporate into unique beaded jewellery designs, from earrings, necklaces to bracelets. Shop all gemstone beads here. Explore our range of beading tools and threads to use with our gemstones beads. Find a range of Beadsmith tools, jewellery making pliers and threads to get making. Shop our range of bead stringing findings, from crimps, gimp wire, necklet ends, knot covers and more.